When calling the API, the user issues requests against an existing instance of a CSE. Therefore, before using this API you will need to create a CSE in the CSE Google Control Panel. Follow the tutorial to learn more about the different configuration options. Once you have setup a CSE, you can find the CSE's ID in the Setup > Basics > Details section of the Control Panel for the CSE. The Custom Search API requires the use of an API key. It will need to be added to the searchResults component API Key property. 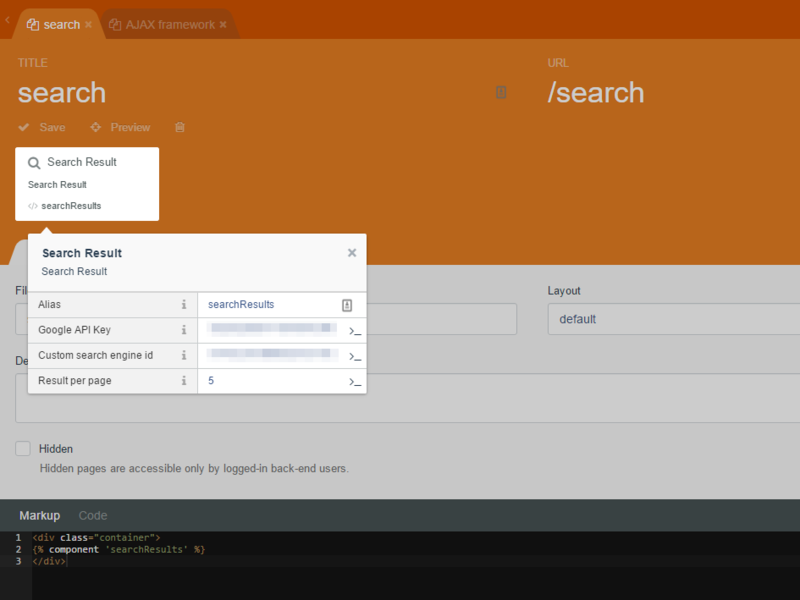 Custom Search Engine (free edition) users can obtain the key from the Google API Console. The API provides 100 search queries per day for free. If you need more, you may sign up for billing in the API Console. Additional requests cost $5 per 1000 queries, up to 10k queries per day. 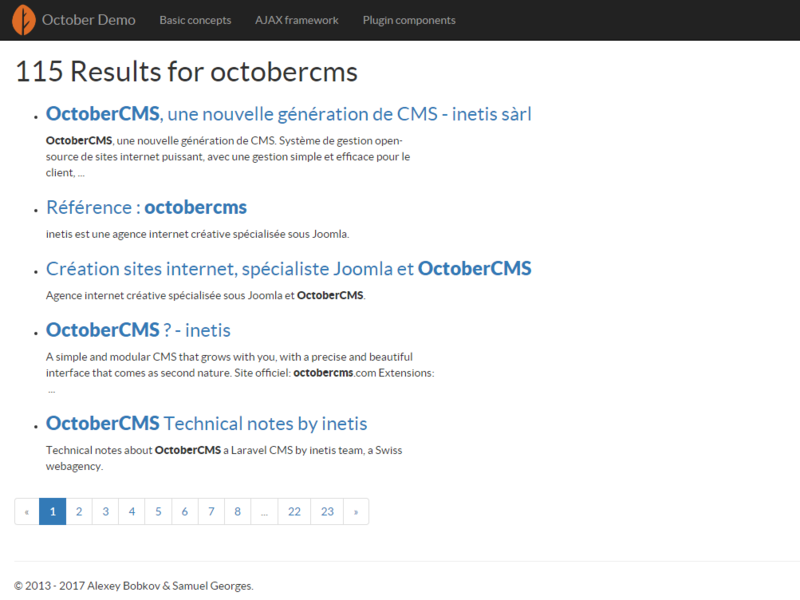 To modify it for your own theme, place it in themes/yourtheme/partials/searchresults/default.htm and edit it accordingly. Nice plugin. Could use some tweaking. Why is there no public repository?